This Frozen Death by Chocolate Pie is the ULTIMATE chocolate lover’s treat! 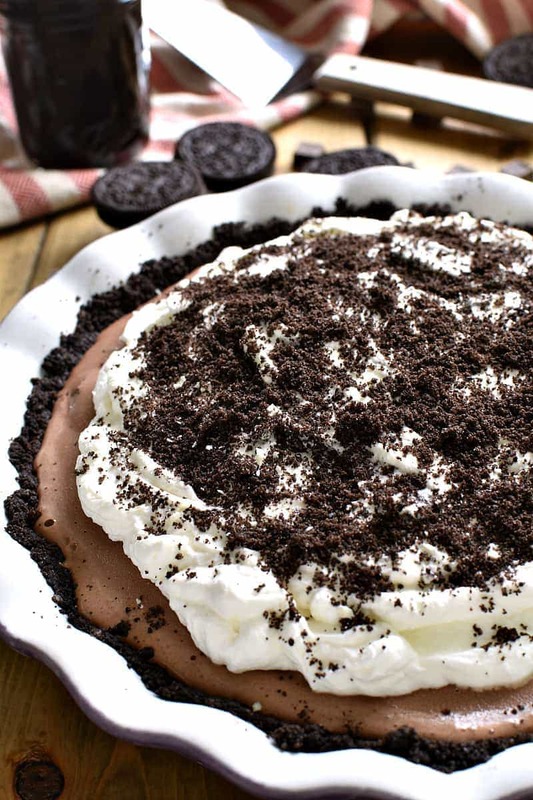 Loaded with delicious chocolate flavor and topped with homemade whipped cream and hot fudge, this pie is perfect for birthdays, ladies nights, or special occasions. 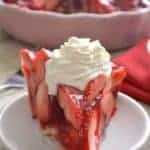 And best of all, it’s completely no-bake! So we are officially back in school mode. Pictures have been taken, information nights have been attended, and nightly homework has begun. And so far….everyone seems happy. Including me! As much as I love the freedom of summer break, and the ability to say yes to a sleepover any night of the week, there’s something I really love about the school year. I love the routine, the schedule, the fact that the kids are doing something productive, and….I love the fact that I finally get a little bit of ” me” time back. So I’m thinking it might be time to plan a ladies’ night. 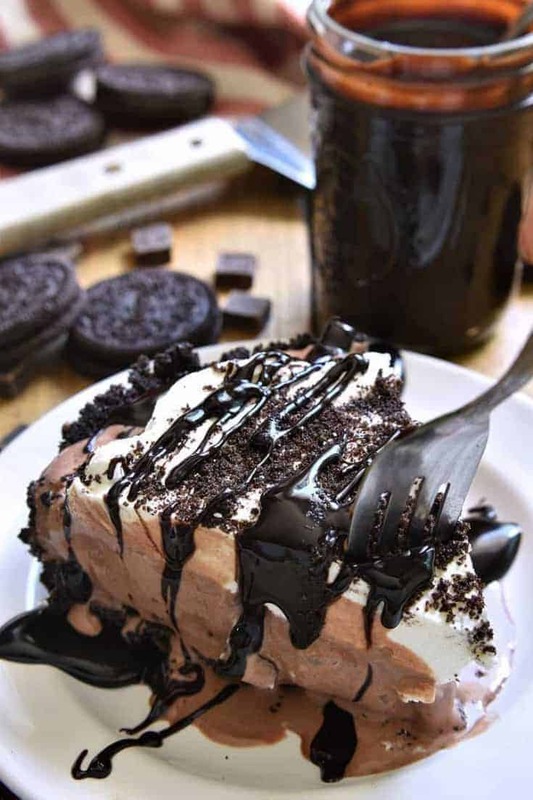 Complete with all things decadent, like this Death By Chocolate Frozen Pie. As for who to invite? Well, that’s easy. I’d invite all my favorite moms from school! Because not only does back to school time make me realize how much I need some adult time, but it also makes me remember how much I LOVE our school community. And the fact that I’ve now known some of these moms for 6+ years? Makes me love it even more. There’s something so nice about being part of a community, and the older I get the more I value being part of ours. And not just our school community, but our local community, too. We make a point of attending our local parades and using our local library, swimming at our local pool and eating at our local restaurants. And any chance we get, we make a point of buying local. Because being connected to your local community just feels good. Which is part of the reason we absolutely LOVE Kemps. Because it’s local! 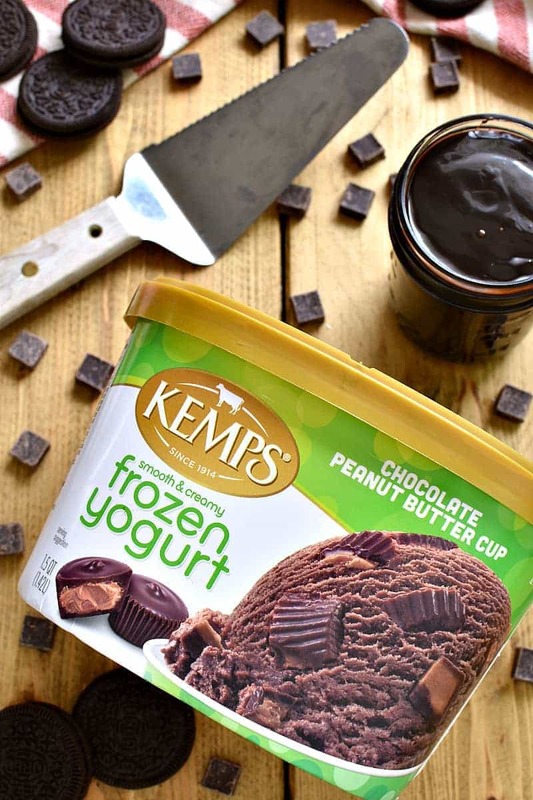 Not only are Kemps products delicious, but they’re also produced on local family dairy farms with a legacy of hard work and passion going back several generations. Their wholesome products feed and nourish families everywhere, bringing goodness from the family farm to the family table. It’s a circle of good we can all feel, well, GOOD about! And when they’re available at our favorite local grocery store, Pick ‘n Save, even better. 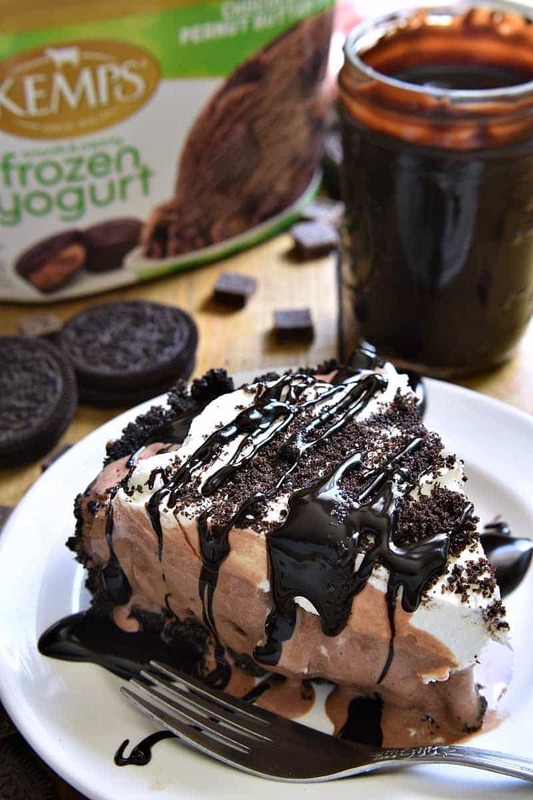 This Frozen Death by Chocolate Pie starts with Kemps Chocolate Peanut Butter Cup Frozen Yogurt and is loaded with all things decadent and delicious. 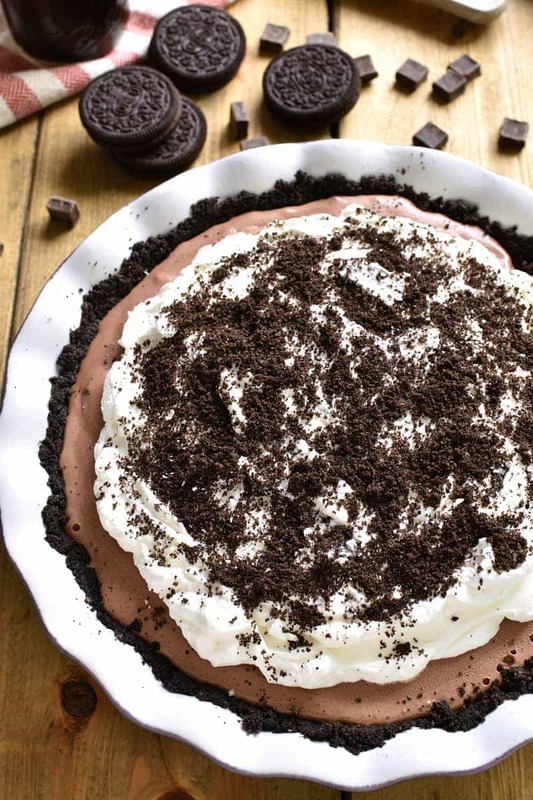 From the chocolate cookie crust to the dark chocolate chunks to the fresh whipped cream and hot fudge drizzle…if you love chocolate, you’ll fall in love with this Frozen Death by Chocolate Pie. It’s the perfect way to treat yourself…and all your favorite people….while also supporting an amazing local brand! Which, at the end of the day, is really the best feeling of all. Happy back to school! Now let’s eat chocolate! This Frozen Death by Chocolate Pie is the ULTIMATE chocolate lover's treat! Loaded with delicious chocolate flavor and topped with homemade whipped cream and hot fudge, this pie is perfect for birthdays, ladies nights, or special occasions. 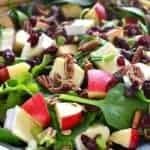 And best of all, it's completely no-bake! 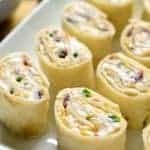 Using a food processor, blender, or large plastic bag & rolling pin, crush sandwich cookies into crumbs. Combine cookie crumbs and melted butter and mix well. Press into the bottom of a 9 inch pie plate. 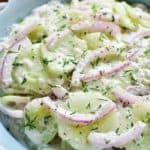 Refrigerate 30 minutes. 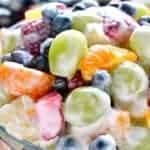 Remove frozen yogurt from freezer and allow it to melt just enough that it can be stirred. Stir chocolate chunks into frozen yogurt and spread mixture into refrigerated pie crust. 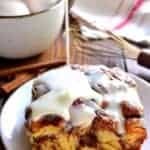 Prepare whipped cream by combining cold whipping cream and 2 Tbsp. sugar in a cold mixing bowl. Whip on medium-high speed until peaks form. Spread whipped cream over pie; crush remaining 2 cookies into crumbs and sprinkle on top. 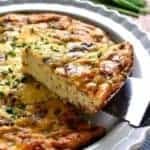 Place pie in freezer overnight or until completely frozen. Drizzle with hot fudge before serving. *NOTE: for a different texture, whipped cream can also be made immediately before serving. Kemp’s! That is my childhood right there. That’s the brand my mom used to buy back in the day. Memories! Awww, I love it. Midwestern girls unite! You lost me at food processor, but Dear God, this looks like the cure to every ailment in life! What brand of chocolate chunks did you use ? 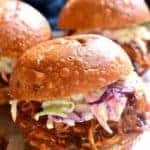 I would like to exactly replicate your recipe. I find South Texas sometimes doesn’t have the same products used in some recipes . Thank you ! Would love it if you can send a reply to my email address so I can print it for future reference. Hi Liz, I actually used a local brand of chocolate chunks. Any would work!! If this pie is wrong, I don’t want to be right! It looks amazing! This is heavenly! Pass the fork please! Wonderful to have a local product like this you love. Even better to turn it into something like this pie! SO YUMMY! Cathy, I’m drooling over this cake! I wish I had a slice right now! 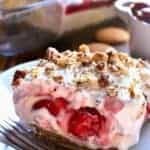 This pie looks amazing! i wan the whole thing! I have a major sweet tooth now! This looks amazing! 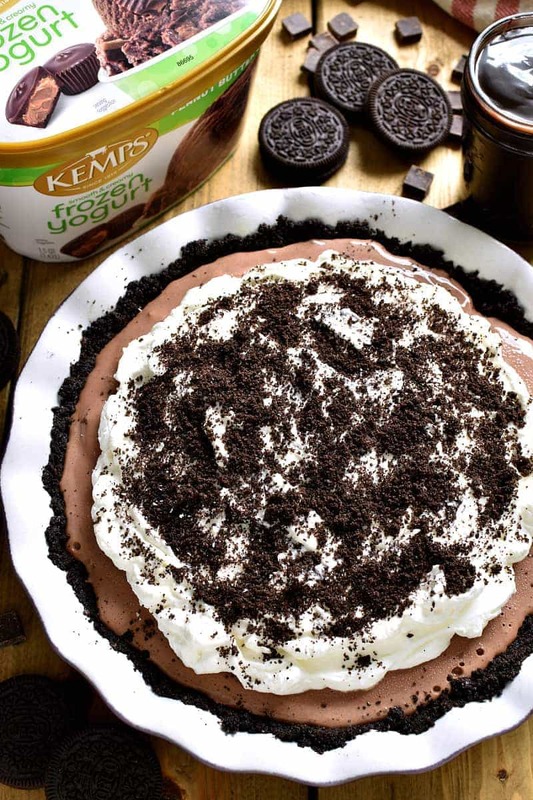 Kemps frozen yogurt sounds delicious Cathy and I love this pie that you created! I’m the biggest chocolate lover and it doesn’t get more chocolatey than this — love it! 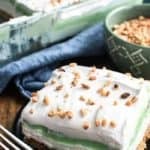 I can’t even believe this is a NO BAKE dessert! It looks like you spent hours making it, and oh my gosh, I want to dive into it! Oh my, I don’t think I could stop at one slice – looks delicious!! I’ll take a slice! It looks amazing! Oh my gahhhhhhhh I am loving everything about this!